Please refer to our stock # 10060 when inquiring. 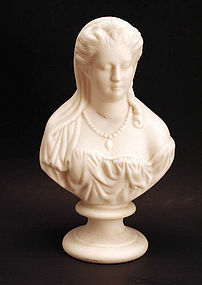 Parian bust of Juliet, impressed “J&TB” for James and Thomas Bevington, potters in Hanley, England. They used this mark from 1863-1876.